The Afenifere leaders, led by Pa Ayo Fasanmi, held the meeting at the House of Chiefs, Parliament Building, Secretariat Agodi, in Ibadan. 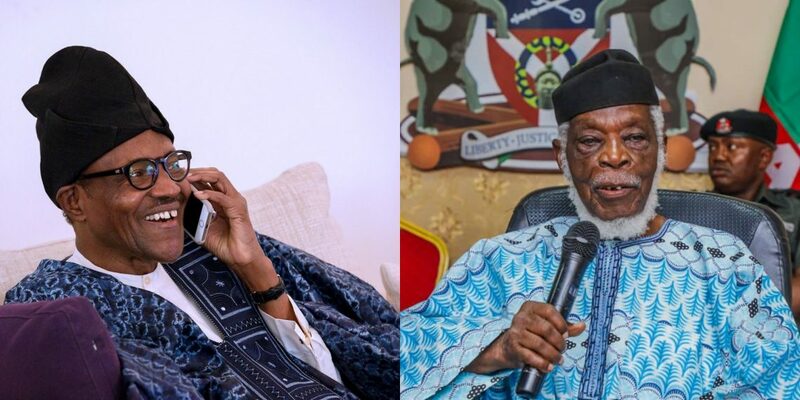 Notable leaders of the pan-Yoruba socio-cultural and political organisation, Afenifere, rose from a meeting which lasted for about three hours on Thursday, in Ibadan, capital of Oyo State, and endorsed the candidature of President Muhammadu Buhari of the ruling All Progressives Congress (APC) for re-election in February 2019.
x states in the South West, also fixed January 29, 2019 for an official declaration for Buhari and his deputy, Yemi Osinbajo. 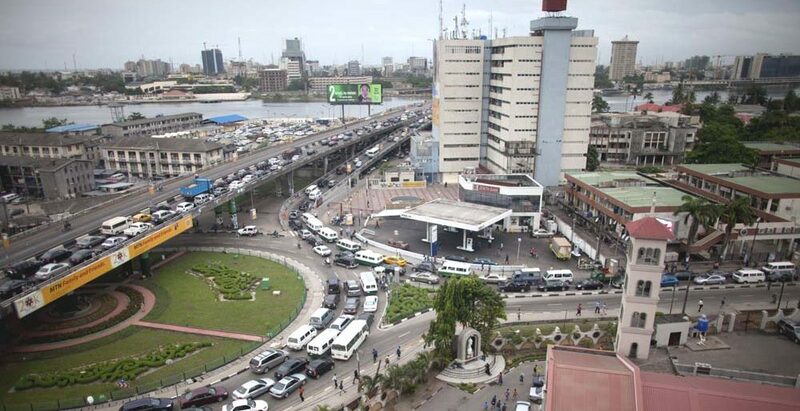 The resolution was reached by Yoruba leaders including former governor of old Oyo state, Dr. Omololu Olunloyo, former deputy governor of Lagos and Oyo states, Prince Biodun Ogunleye and Iyiola Oladokun, respectively, Dr. Abayomi Finnih; son of the late Pa Adekunle Ajasin, a former governor of old Ondo State, Tokunbo, and former commissioner for Lands in Osun State and son of Chief Bola Ige, former Minister of Justice, Muyiwa. The roll call also included Senator Olabiyi Durojaiye, Mr. Ayo Afolabi, Prof Adebayo Ademudi, Oladosu Oladipo, Tajudeen Olusi, and chairman of Ekiti State chapter of Afenifere, Chief Akin Fasae. Giving more information about the January 29, 2019 Declaration, Fasae said that “the owner of the mandate of the Yoruba people is APC. The six governors of Yorubaland are APC. Speakers of all Houses of Assembly in Yorubaland are APC. So, we have six speakers. leaders of Yoruba nation would attend the January 29 declaration. Fasae dismissed the notion that Afenifere should not be playing partisan politics by endorsing a political party. The Court of Appeal, Port Harcourt Division, on Wednesday confirmed that the All Progressives Congress (APC) in Rivers State will not field any candidates during the 2019 General elections when it dismissed the appeal filed by the factional Rivers State APC Governorship Candidate Mr Tonye Cole. The Court of Appeal, Port Harcourt Division also confirmed the judgment of Justice Chinwendu Nwogu that Rivers State has no ward executives, local government executives and State Executives as it dismissed the appeal filed by Sacked Rivers State APC State Chairman, Mr Ojukaye Flag-Amachree. The Court of Appeal Port Harcourt Division Special Panel Chaired by Justice Abubakar Yahaya dismissed the two appeals for lack of merit. The third appeal which centred on the judgement by Justice Chinwendu Nwogu was dismissed because it was filed out of time and therefore statute barred. Delivering his judgement Justice Yahaya, said the appeal against the Justice Chinwendu Nwogu High Court judgement on the party Congress crisis lacks merit, adding that the application for joinder failed to observed the 14 days rules of Appeal. Delivering judgement on the substantive appeal number CA/PH/198 which bordered on Justice Nwogu’s judgement, the panel ruled that the Ojukaye faction failed to seek leave of court before appealing against the judgement. Justice Yahaya ruled that the judgement delivered at the lower court was a consent judgement, adding that Ojukaye faction should have done the needful legally before approaching the court. Counsel to Ibrahim Umar and 22 others, Mr Patrick Luke said that the rulings of the Court of Appeal confirm that the judgement by Justice Chinwendu Nwogu remains valid and is still subsisting. Counsel to Ojukaye Flag-Amachree, Emenike Ebete noted that the court heard the three matters and in her wisdom arrived at the rulings confirming the judgment of Justice Chinwendu Nwogu. He said: “Arguments were taken but the Court in its infinite wisdom held that in appeal 461, that is the substantive appeal, that the consent judgement of the High Court of Rivers state and by provision of the constitution, we ought to have sought leave of court to appeal against that consent judgement. That is their own decision and they struck it out. 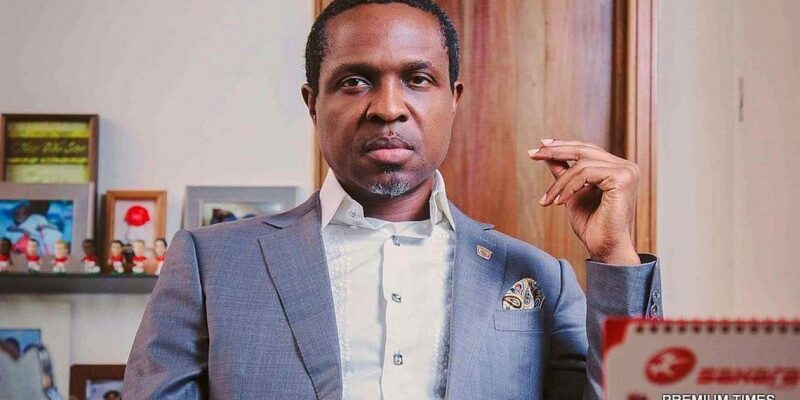 On October 10, 2018, a High Court in Port Harcourt nullified the nomination of Mr Tonye Cole as the APC governorship candidate in Rivers; on the ground that his nomination is a function of illegality and unconstitutional acts. The court also nullified the state’s APC senatorial, House of Representatives and House of Assembly primaries conducted on the premise of the illegal ward congresses. National Chairman, the All Progressives Congress (APC) Adams Oshiomhole, has said that God will punish former President Olusegun Obasanjo and the presidential candidate of the Peoples Democratic Party (PDP), Atiku Abubakar, when President Muhammadu Buhari defeats them at the 2019 presidential election. The former Edo State governor, who spoke to newsmen after receiving APC women leaders from Edo State, who paid him a solidarity visit in his office in Aso drive, in Abuja, also reminded Obasanjo that he swore that God should punish him if he ever supported his former deputy, Atiku, to become the president. He further noted that the ruling party is much more stronger in Ogun and Imo states despite grievances of their governors, Ibikunle Amosun and Rochas Okorocha, respectively, stressing that APC will work hard to deliver the governorship candidates of the party without them. 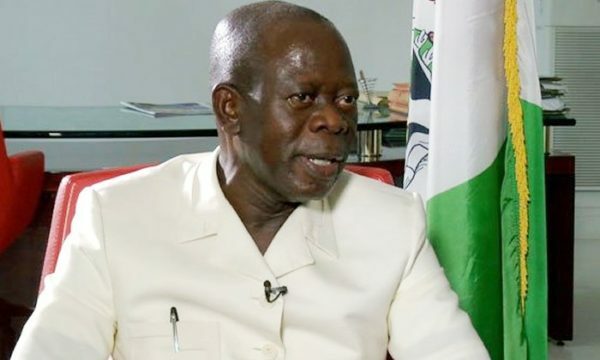 While describing the governors as poor students of history who had forgotten where they came from to join the APC, Oshiomhole said argued that some APC governors have no electoral values any longer. “Also, in Ogun state, don’t forget that the vice president is from Ogun state. We cannot focus on one person and not on the other. Ogun is one of the most enlightened state in the country and that is where Chief Awolowo came from. “They have a huge history in a political kingdom headed by one person. When a child ran out of his father’s house to bear a new name according to history and the Bible, he returned when the weather thoroughly beat him as a prodigal son. That is why APC has prodigal sons. Those who think that their political future is tied to are poor students of history. 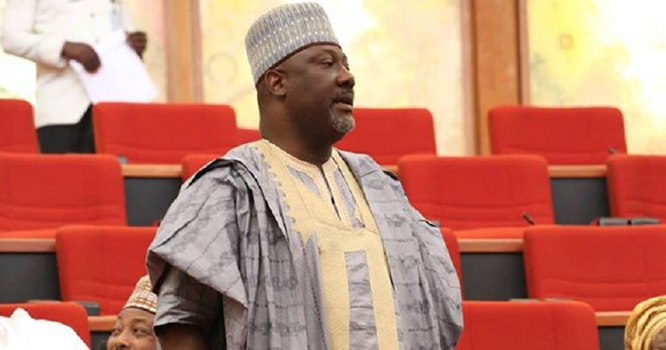 Senator Dino Melaye, yesterday, alleged that the Nigerian Police made two attempts to kill him, while he was being prosecuted for alleged arms peddling and sponsorship of banditry in Kogi State. Melaye, who was appearing in plenary for the first time since April when he was arrested by the Police and taken to court for prosecution for allegedly sponsoring criminals in his home state, made the allegation while expressing his appreciation to his colleagues, constituents and other Nigerians for standing with him during his travails. According to him, the Police wanted to kill him first through a harmful substance, and second, through injection but noted that God protected him in the alleged attempts. He also requested the President of the Senate, Dr Bukola Saraki, to direct the Sergeant-At-Arms, to provide him with a comfortable seat at the Peoples Democratic Party (PDP) wing in the Chamber, pending when he would fully recover. 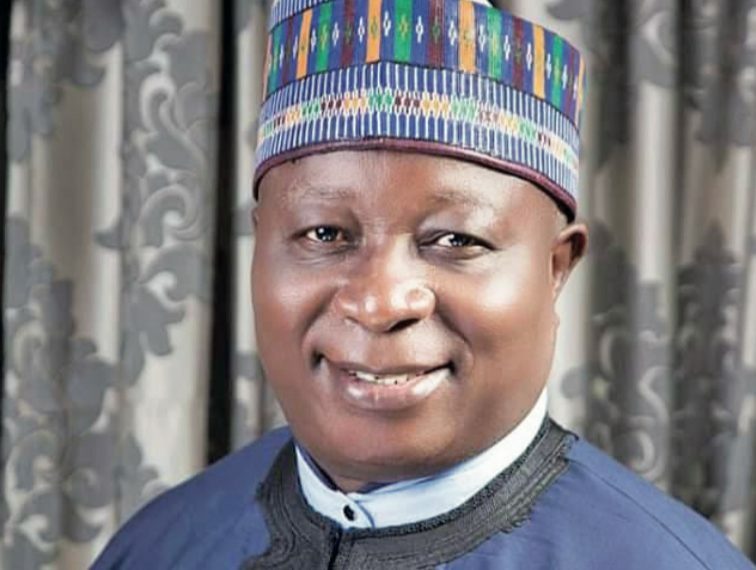 The lawmaker said that his request was informed by the circumstance of his present condition of health, pointing out that he was not comfortable to sit at the All Progressives Congress (APC) wing of the Chamber. He, however, did not categorically say that he was defecting to the opposition party.